Further details and discussion below…. There is a significant pay gap between male and female employees in the PR and communications industry. The current gender pay gap in the industry is 21%, which is higher than the average UK gender pay gap at 18.4%. 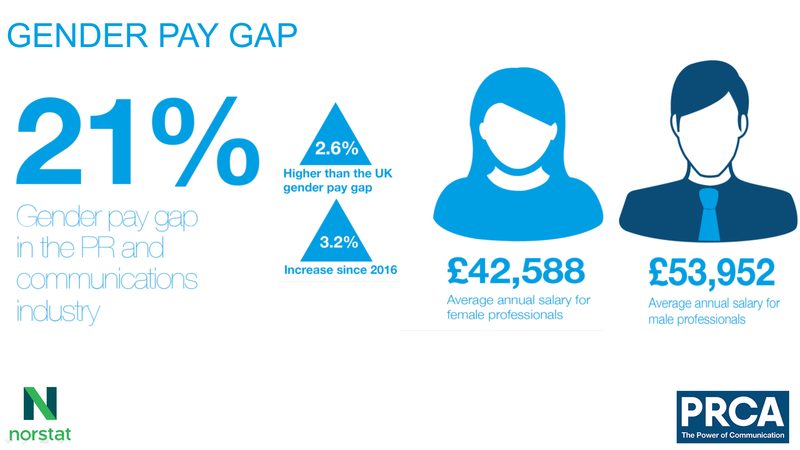 The industry’s gender pay gap has increased since 2016, when the gender pay gap was 17.8%. It is hard to understand how the gender pay gap can have actually increased in the last two years. There is some statistical thinking that in sectors where women are under-represented, the gender pay gap might justifiably increase before it gets better; a firm may recruit more women into junior roles in an effort to close the gender pay gap over the medium and long term by ensuring that there are more female candidates for the more senior positions. But this is clearly not the case in public relations. It is a female-dominated sector, so it’s very difficult to justify how the gender pay gap has increased over the last two years. Frankly it’s embarrassing. 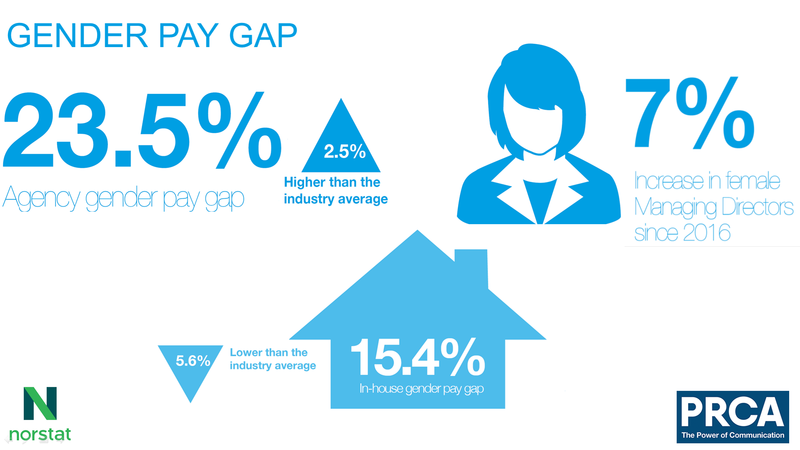 The gender pay gap in agencies is higher than the industry average, sitting at 23.5 %. It is most pronounced at the managing director and chairman level, which is at 27%. At all other levels there is a slight gender pay difference in favour of men. When looking at the gender make up of job roles, women make up the majority of managerial and junior agency roles, however this changes at senior roles. 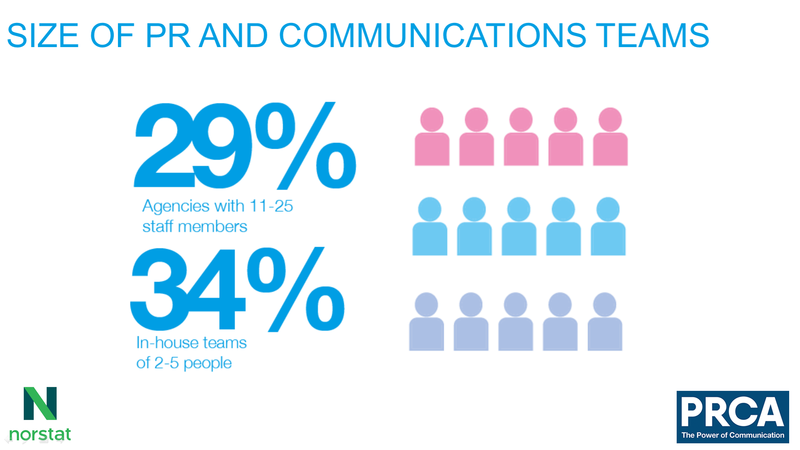 Only 20% of women make up managing director roles compared to 30% of men. Whereas women make up 22% of account manager roles compared to 15% of men. 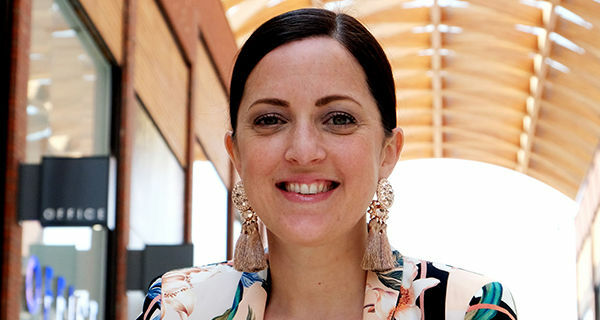 There are more women in managing director roles today than two years ago; only 13% of women made up managing director roles in 2016, this has increased by 7% this year. The gender pay gap across in-house teams is 15.4%, slightly lower than the industry and agency average. The gender pay gap at director level is only 1%. The gender pay gap at a junior manager level is the most pronounced at 12%. The second highest gender pay gap is at the senior manager level, at 9.8%. Overall, the differences in salaries in in-house teams are not as significant when compared with agencies. Women are less equally represented at the top role in in-house teams, only 10% of women are directors of in-house teams, this has not changed since 2016. In comparison 25% of men make up director roles, this has increased by 8% since 2016. 69% of PR people attended a state-funded or state-run school. This is compared to 21% of practitioners that attended an independent or fee-paying school. 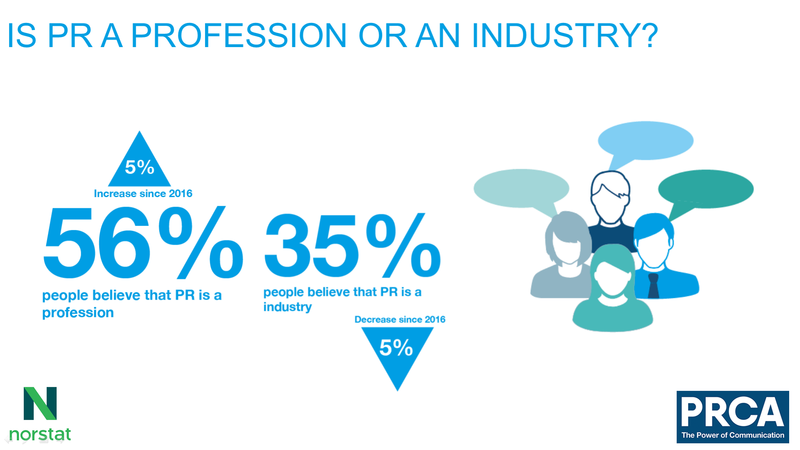 81% of the industry received an undergraduate degree; this is particularly predominant for younger PR and communications professionals. 90% of professionals aged 25-34 hold an undergraduate, degree. 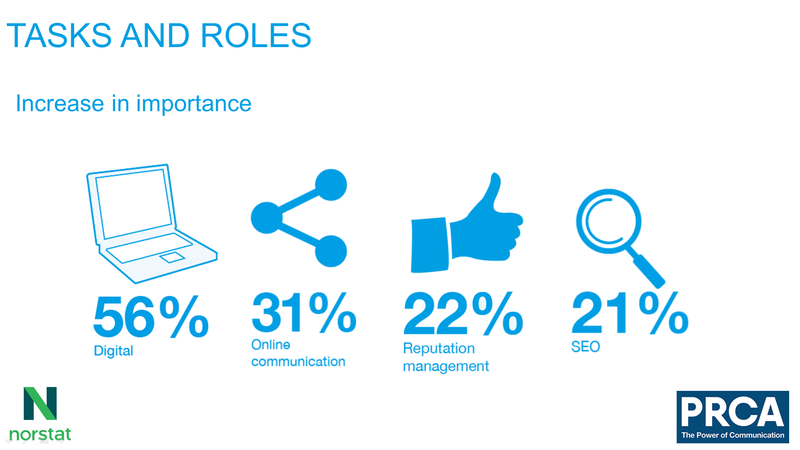 Interestingly 23% of PR professionals have a masters degree. I suspect this is purely an academic argument and there are probably more important things in the world to concern us all! 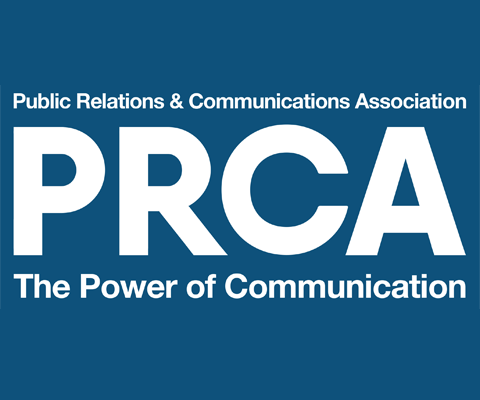 However, I would add that both the CIPR and PRCA are set on PR being defined as a profession currently. One of the things that I believe benefits PR is that it is such a dynamic market. If you are bright and good at what you do, you can thrive. Whether you do or don’t have a formal PR qualification is not the point. Think about it – are the best PR people you know formally PR qualified? 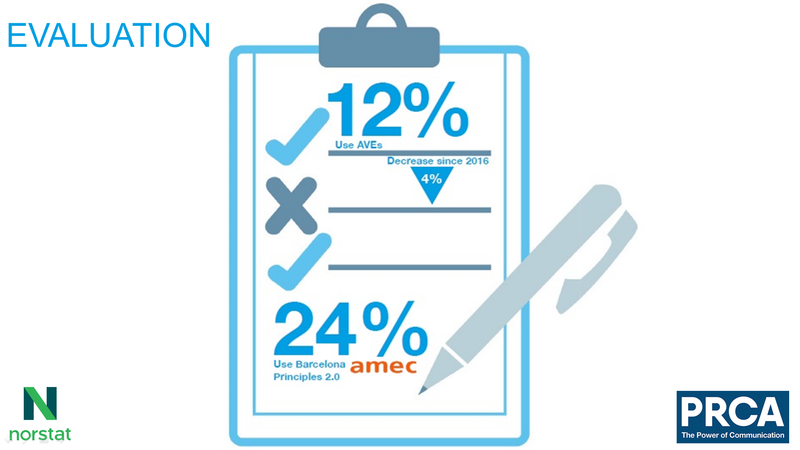 I suspect in most cases they are not..
Bizarrely, 24% of PR professionals said they prefer Barcelona Principles 2.0 over other evaluation methods. I say bizarrely because the Barcelona Principles are a bunch of principles designed to start PR people off on the road to better evaluation. They are not really an “evaluation method”. The idea that one third of PR campaigns include absolutely no measurement is pretty mind blowing. 12% of PR professionals still use AVEs, which will no doubt cause some people to grab various AVE headlines, but I note it doesn’t say they are only using AVEs. The 12% are probably using them as part of a suite of measurement KPIs and they probably use them because their measurement provider supplies them to them! So, I’d suggest we all move on (in the UK anyway) from this fairly tired debate. Much more worryingly is the stat that suggests that 33% of respondents do not use any evaluation methods at all! The idea that one third of PR campaigns include absolutely no measurement is pretty mind blowing. The tasks that have increased in importance are digital, online communications, and reputation management, similar to previous PRCA censuses. For the first time reputation management has taken over SEO. 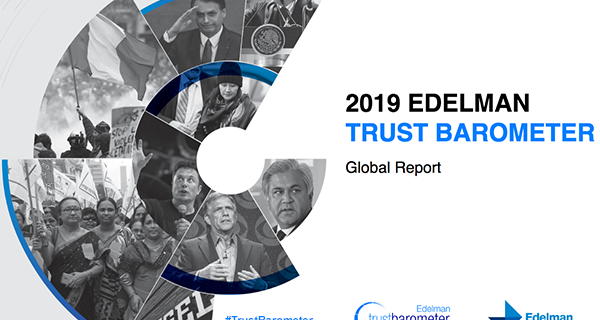 In 2016, 19% of respondents felt that reputation management had increased in importance, this figure increased to 22% in 2018. There is a slight discrepancy across job roles and seniority levels. 31% of partners and board directors said that reputation management had increased in importance compared with 16% of account executives. Similarly, 71% of account managers said that digital had increased in importance, compared with 46% of board directors and partners. 29% of agencies are made up of people aged 11-25, this has not changed since the 2016 census. When cross-referenced with annual turnover, over half of these organisations have an annual turnover between £500,000 and £2.5 million. There has been a 24% increase in the number of people reporting that they work 45 hours a week. The second largest category is organisations made up of 100-250 people, with 15% of respondents reporting that they work for companies of this size. 56% of these organisations have an annual turnover between £10 million and £25 million; and 39% of these organisations have an annual turnover of £25 million – £50 million. PR professionals continue to work beyond their contracted hours of 35 hours a week. Most end up working for 45 hours a week. Only 14% of respondents say they actually work for 35 hours a week. These figures have increased dramatically in the past two years, there has been a 24% increase in the number of people reporting that they work 45 hours a week. On average, managing directors put in a lot more hours per week compared to their junior counterparts. Over 27% of managing directors say they end up working 55 hours a week. On average, 60% of account directors, account managers, and account executives work 45 hours a week. It is a similar picture on the in-house side with 25% of directors stating that they work 55 hours a week. In contrast, around 50% of managers and executives work 45 hours a week. 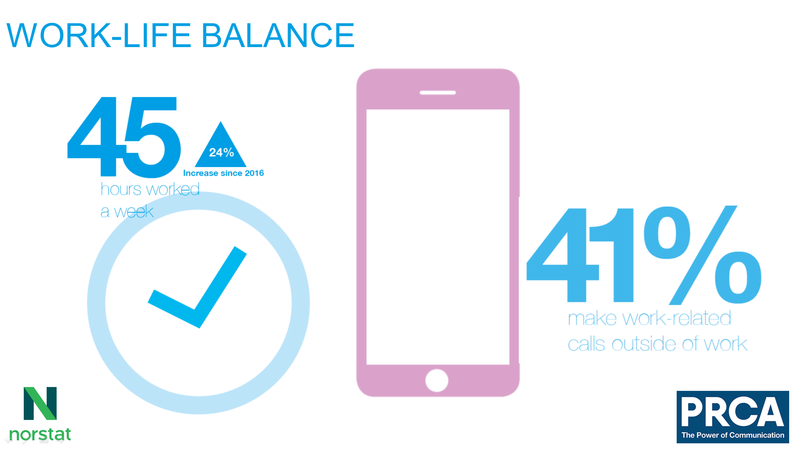 Similarly, 41% of PR professionals make work-related calls or answer emails outside of work hours every day of the week. 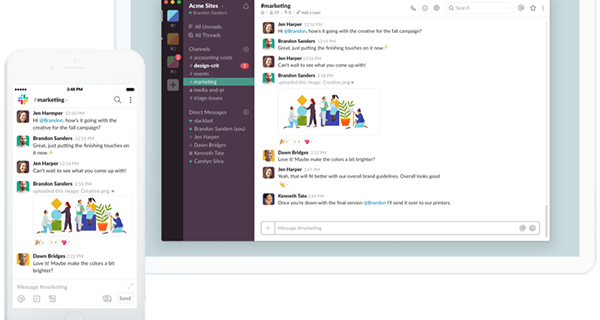 The preferred form of flexible working amongst PR professionals is flexitime (flexible start and finish times) and working from home at least one day a week. 33% of the industry works flexibly in this way. The ability to work from home at least once a week is usually reserved for senior employees, with 43% of managing directors and 52% of directors working from home at least once a week. In comparison, only 6% of account executives and 22% of junior executives do the same. 45% of PR professionals who have children also work from home at least once a week. 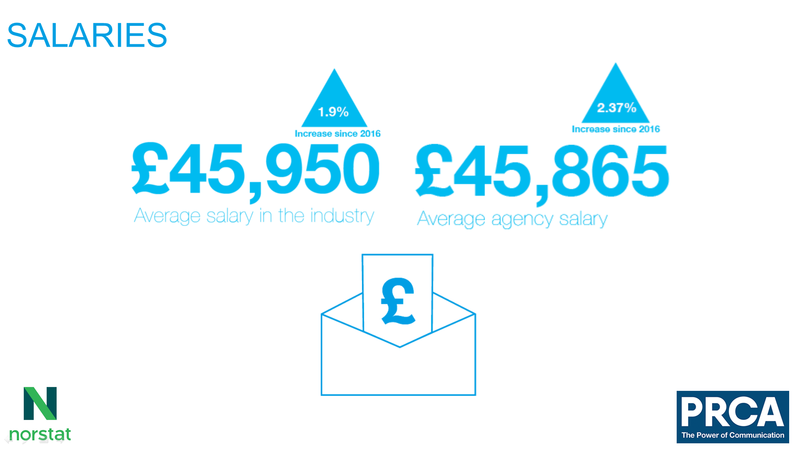 The average annual salary for agency professionals is £45,865, up from £44,805 in 2016. This figure is only slightly lower than the overall average salary for PR and communications professionals. 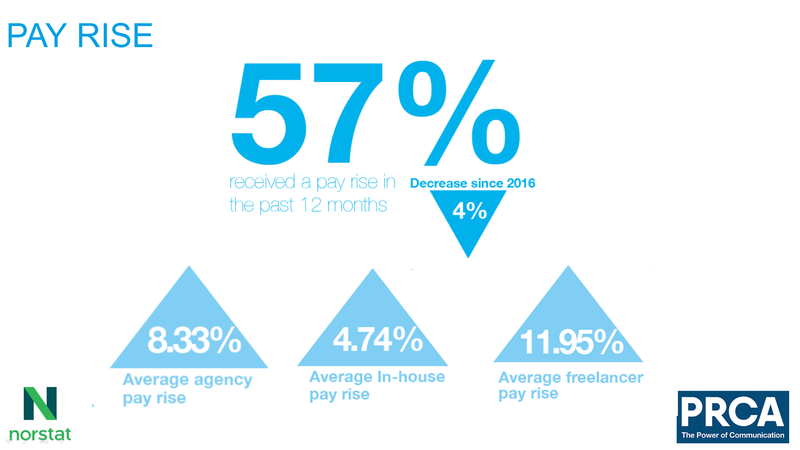 The average annual in-house salary is £46,078, this is significantly higher than the 2016 figure of £43,591. 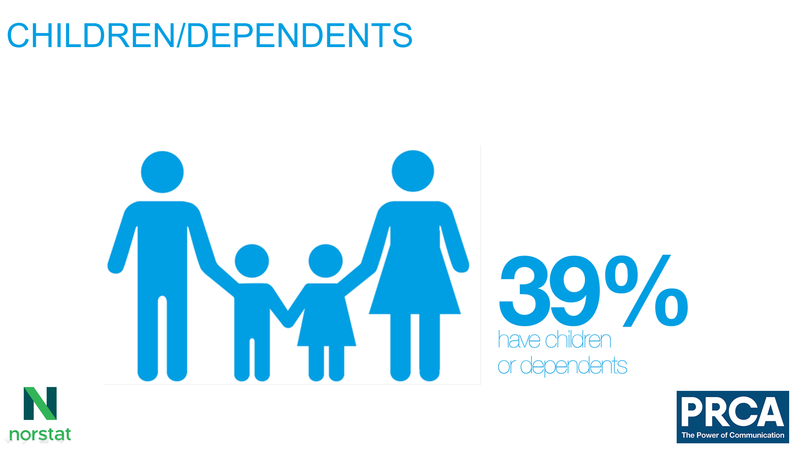 39% of PR professionals have children or other dependants. Freelancers are the most likely to have dependants at 57%, owing to the flexible nature of their working life. 49% of men have children and dependants compared to 34% of women.